As I've mentioned more than once, many if not most of us have a wallet full of membership cards to a variety of chain stores. There is hardly such a thing as a store with more than one branch that doesn't offer you deals and benefits in return for your loyalty. However, not all of these cards will actually save you money in the long term. In fact, between yearly fees, limited time periods in which to use accumulated bonus points and other rules and regulations tacked on to the card, some might even be an, albeit small, money drain. Fees - I'm always happy to join a membership club when it costs exactly zero Shekels to do so, even if I rarely shop in the store(s) under their plan. If that's not available, a one-time fee is better than a yearly one - especially if some of that fee is later returned to you in the form of a discount for your next purchase. However, unless you're a heavy shopper at a specific store, I would avoid yearly-fee membership cards like the plague. Variety - The larger the variety of stores the card covers, the better. Ditto for a single store with a large variety of merchandise (e.g., a supermarket vs. a dress shop). Credit card - This isn't always avoidable, but I prefer not to hold too many credit cards at one time. But if there's an option to have just a membership card as opposed to a credit card, I prefer that. How good a card is for you individually will always be dependent upon your shopping habits (what for, and where, you shop) and the availability of stores in your area. Hence your list may well be different than mine, and my list isn't ranked from best to worst or vice versa. Cost: Free - and as I always say, if someone is giving you something for nothing, take it! What it gives you: Special discounts and coupons for members (at the store, online and in the mail); you gain points for every purchase at the ratio of NIS 2 spent=1 point, and receive a voucher for NIS 30 for every 4000 points you've accumulated. Credit card? Yes, but not mandatory, underwritten by Leumi Card. Besides giving some extra discounts at the supermarkets beyond that of the regular membership, the card also gives you a discount on gas at Paz stations - for every NIS 150 you spend shopping at Shufersal, you get an NIS 8 discount on gas when you fill up at one of their stations. If you choose to get their credit card, you'll be exempt from card fees for a year, but you can probably negotiate to cancel fees for another one or more years (this being Israel, after all). I, personally, have not found the extra discounts on products in the stores or on gas to be attractive enough for me to take out a credit card, but your mileage may vary (literally). So where do I sign up? In any Shufersal supermarket, on the phone (1-800-70-40-40), or online. Cost: This is a credit card-only membership, so you're exempt from card fees for the first year. Afterwards, I strongly suggest you re-negotiate to cancel the fees further, as they're fairly steep for a credit card. (I told them they shouldn't bother re-issuing me a new card, due in the next month or so, if they weren't willing to cancel the fees. They complied). Honored at: Superpharm, WallaShops, Steimatzky books, Wetheimers, GoActive Gym, McDonalds, Delek gas stations, ISSTA travel agency, Laga'at Ba'Ochel, Kravitz. The package forwarding service Mustop has offered some special (and very attractive) deals exclusively for LifeStyle members in the recent past. Of course, you can use it as a regular credit card as well. What it gives you: Every month you'll be sent special coupons and deals with your credit card statement, and they are also available at the website (and in the case of Superpharm, their mobile app as well). At Delek gas stations, you get 21 Agorot per liter off the full-service price. Credit card? Yes, for the last several years, underwritten either by Isracard or American Express. So where do I sign up? Either at one of the stores or online. A relatively new shoppers club (started in early 2014) which incorporated the membership cards of several different stores. Cost: If you already hold a membership card from one of the participating stores, they'll convert it into a Dream Card free of charge. Otherwise, a one-time payment of NIS 69. Honored at: Fox, Fox Home, Laline, Aerie, Children's Place, American Eagle Outfitters, Billabong, Mango and Charles & Keith. What it gives you: NIS 100 for new members (not those who've converted an old card), 10% of each purchase is accumulated as points toward a future purchase, and you get a 30% discount at each of the participating stores during the month of your birthday. So where do I sign up? You can either convert an old card or sign up for a new one at one of the participating stores or online. Cost: A credit card with no fees for the first two years. Afterwards a typical credit card fee (which is hopefully negotiable). Honored at: Rami Levy supermarket chain, and as a regular credit card anywhere else. What it gives you: NIS 135 in coupons for shopping in the supermarket chain upon registration, other exclusive shopping coupons, special deals at a variety of other businesses (see here), discounts at Sonol gas pumps and convenience stores, and 4% cashback when ordering a vacation through booking.com. Credit card? Yes, as of the beginning of this year. Underwritten by Isracard/Mastercard. So where do I sign up? At your local Rami Levy supermarket, by phone (*5990), or online. Cost: Credit card , fee-free for the first year, if you purchase at least NIS 800 per month with it. Honored at: Yeynot Bitan, Mashbir, New Pharm, Tzomet Sfarim, Weight Watchers, Kishrei Teufa and Shlomo Sixt. And as a regular credit card. 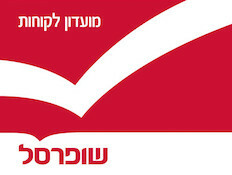 What it gives you: NIS 70 voucher for purchases at Yeynot Bitan, special coupons and discounts for the YB supermarket chain, 3% cashback for purchases at one of the businesses above. Credit card? Yes, underwritten by CAL. *Note: Yeynot Bitan and the other businesses are also covered under the CAL365 credit card. As this gives you only 6 months of fee-free use and a yearly fee (starting in the 2nd year) of NIS 100, even though you initially get a higher-valued voucher for purchases at YB, I find this card to be not as good a deal. In Part 2, we'll be taking a closer look at some more worthwhile shopping club cards, focusing more on smaller chain stores.